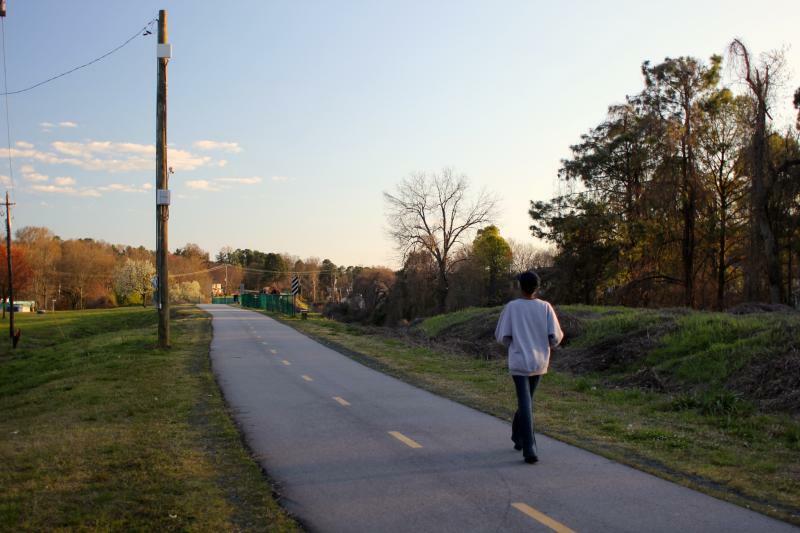 How Dangerous Is The American Tobacco Trail, Really? We have been hearing about the high crime rate on this trail for a while now. It amazes me that anyone sets foot on it, especially in the Durham area. What Does The Supreme Court Rails-To-Trails Decision Mean For NC? On Monday, the U.S. Supreme Court decided, in an 8-1 decision, that just because the government had been granted a federal right of way for building railroads, doesn't mean the government gets to keep that right of way after the railroad is no longer in use. At issue was whether or not the land the rail line sits on should go to the property owner adjacent the rails, or if the government can allow other groups to use it for such projects as rails-to-trails. 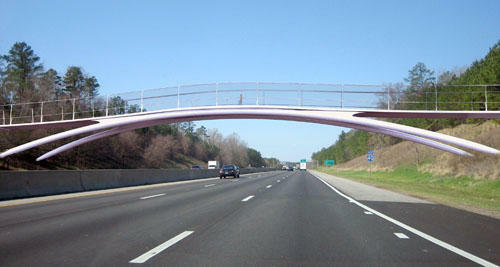 Structural engineers will put a pedestrian bridge over I-40 this weekend. Work crews will stay busy overnight Sunday to install the addition to the historic American Tobacco Trial. 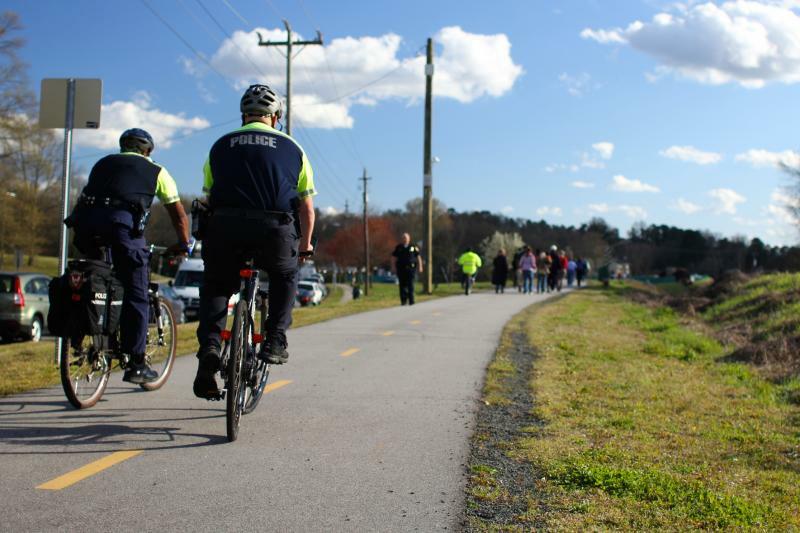 The bridge is a major step in adding four miles to the American Tobacco Trail that connects the existing portion to a stretch that ends at the Chatham County line. Ed Venable, an engineer on the bridge placement project, says I-40 will have to be shut down to put this bridge -- now in four sections -- in place. 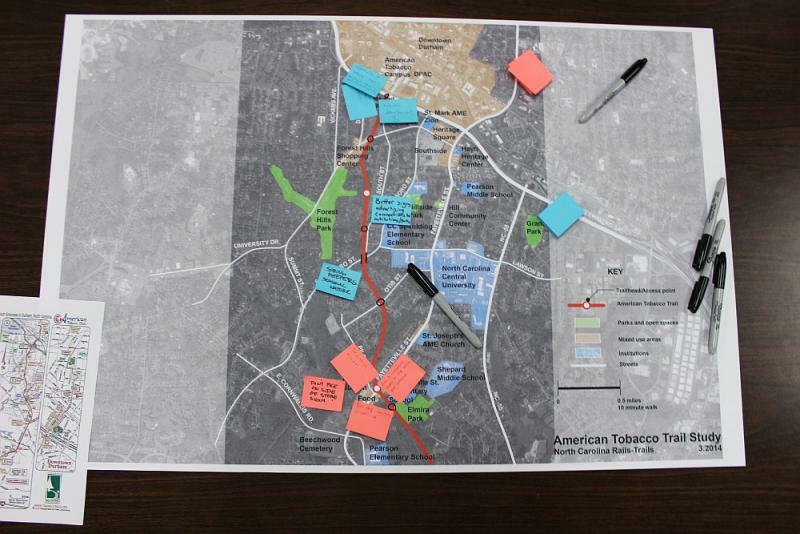 Durham might seem like it’s crisscrossed with bike lanes and greenways now – from the American Tobacco Trail (ATT) on the southern edge of town to the North/South Greenway that picks up where the ATT leaves off in the city. But 30 years ago, that was not the case. Durham bike riders are traveling the city's portion of the American Tobacco Trail hoping to make it safer. Debbie West says it's a route she likes to take to where she needs to go. "I love the Tobacco Trail. I live and work near it," says West. The East Coast Greenway Alliance is moving its national offices to Durham this spring to work on trails in the South. The Greenway is a network of biking, jogging, and walking trails that run from Maine to the Florida Keys. 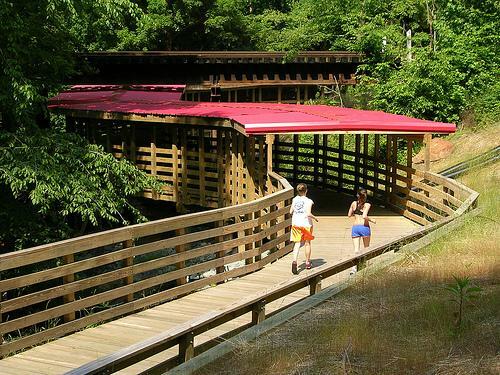 More than 80 percent of trails in North Carolina follow roadways.